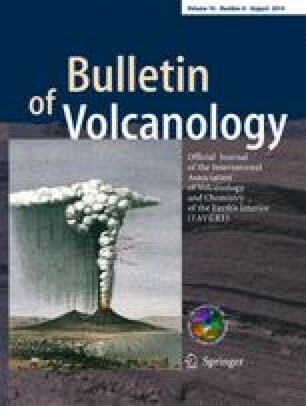 Detailed examination of volcaniclastic and sedimentary rocks collected from the Taney (30 Ma), President Jackson (4 Ma), Vance (3 Ma) and Alarcon (2 Ma) near-ridge seamount chains of the North Pacific reveals seven clastic lithofacies that record various modes of eruption, magma fragmentation, and particle dispersal. Lithofacies are distinguished by differences in lithology, bedding habit, compositional heterogeneity, and relationship to volcanic landforms. Breccia lithofacies were produced through mechanical fragmentation during caldera collapse (polymict) or effusive eruptions onto steep slopes (monomict). Rare globular lapilli mudstone lithofacies contain clasts with morphologies formed by magma-sediment mingling processes (peperite). Seamount summit pyroclastic deposits include proximal lapilli tuff with vesicular pyroclasts, and more distal limu o Pele tuff lithofacies. Much finer-grained hydrothermal mudstone/tuff lithofacies occurs around caldera rims and contains greenschist minerals, hydrothermal clays and basaltic ash that record subsurface phreatomagmatic fragmentation processes. Very fine-grained ash is transported to distal regions by oceanic currents and hydrothermal plumes, and is a component of the regional pelagic sediment budget. Pyroclastic lithofacies only occur on seamount summits suggesting formation during the latter stages of seamount evolution. As a seamount drifts away from an adjacent ridge axis and associated heat source, its magma supply is reduced allowing for magmatic gas buildup and mild explosive eruptions. During this stage, the diminished melt supply under the seamount is unable to fully compensate for extension along the ridge axis and vertical seamount growth. Lateral intrusion into spreading-related structures in this stage causes magma withdrawal and caldera formation. Formation of caldera ring faults also promotes seawater ingress into subseafloor hydrothermal cells, which interact with magma conduits causing phreatomagmatic fragmentation. The online version of this article (doi: 10.1007/s00445-014-0845-3) contains supplementary material, which is available to authorized users. The authors would like to thank the crew and ROV pilots of the sea-going voyages required to collect samples. J. Martin, and D. Caress assisted with seafloor bathymetric data processing and B. Dreyer and J. Stix provided valuable comments. J. Coumans, S. Roeske and N. Botto helped with sample processing and microprobe data collection. J. Hein helped collect and interpret X-ray diffraction data. The manuscript greatly benefited from comments and suggestions by B. Zimanowski and an anonymous reviewer as well as associate editor P.-S. Ross and executive editor J. White. This work was funded through a grant from the David and Lucile Packard foundation to the Monterey Bay Aquarium Research Institute (MBARI).